Which of these character posters from Captain Marvel is your favorite? Goose Mee-Owch! A Super Kitty? Goose? See his collar tag. 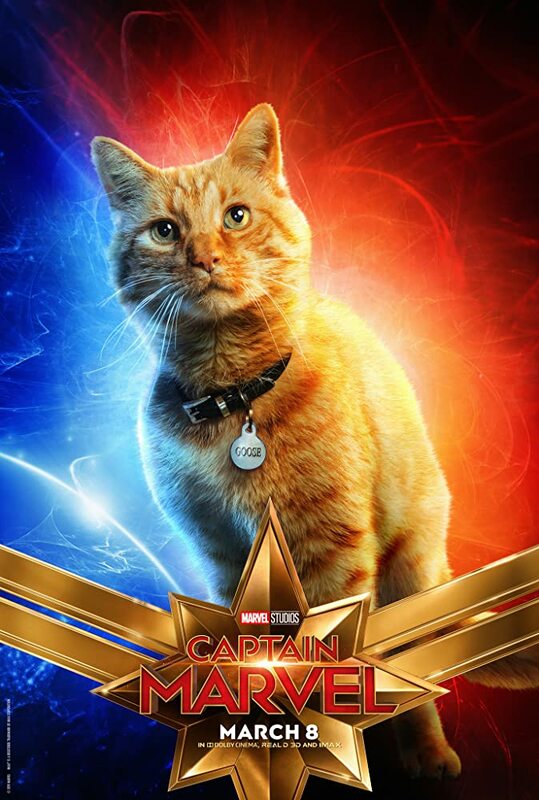 Goose the Cat gets my vote any day! We feel the need for speed!!! The cat will win easily, it gets my vote too. Film titles, such as 'Captain Marvel', should be in single quote. Thank you for updating the title of your list. I've updated the title of this thread accordingly. I'm pretty sure that gif is Loki appreciating his hair guy in the makeup department. Congratulations simeon-83777. This is the 6th time your poll has been featured at IMDb Home Page (http://www.imdb.com) since July 28, 2015. Dear IMDb Editors, thank you!!! Congratulations simeon-83777 on your 37th live poll! As of 6-Mar-2019 8:09 PM Pacific your polls have 109,542 or more votes, for an average of 2,961 votes per poll. This is the 2,396th Image poll. Such polls have a total of 4,206,405 votes for an average of 1,756 votes per poll. simeon-83777's poll Favorite 'Captain Marvel' Character Poster is the 284th poll to reach 10,000 votes. It currently has 11,639 votes with a rank of 203.